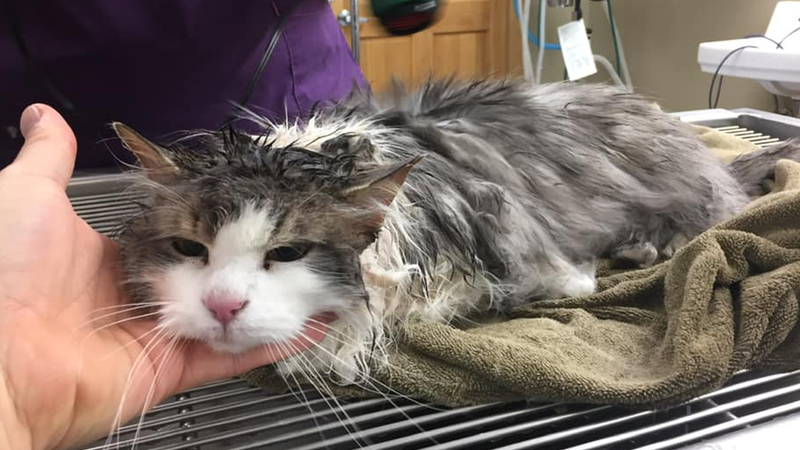 The cat was brought in by its owners after being buried in snow, the Animal Clinic of Kalispell wrote on Facebook. "Her temperature was so low our thermometer wouldn't read it, so we know it was less than 90". Fluffy's owners said she is now strictly an indoor cat. Fluffy was "caked in ice", frozen, and unresponsive when she came into Clark's office. According to the vet, cats' temperatures are normally around 101F. The clinic posted pictures of her recovery on its Facebook page. They scooped her up and immediately drove her to the vet, which is probably what saved her life. She started moaning and growling at us and was her normal, lovingly crabby self. However, her temperature remained very low.